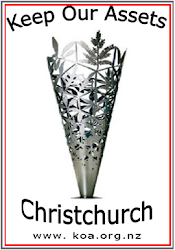 The webpage is designed to enable voters in the 2013 local body elections to easily identify those candidates standing for positions in Christchurch city who are opposed to selling the city's assets. A Ward-by-Ward, Community Board-by-Community Board list of candidates committed to defending our assets. All candidates, seeking election to the Mayoralty, Council and Community Boards in the 2013 local body elections, for Christchurch City have been invited to sign the Public Ownership Pledge. 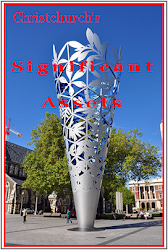 The Pledge was put together by Keep Our Assets - Christchurch (KOA) a loose coalition of community groups, political parties and individuals campaigning against the sale (partial or in whole) of state and local authority assets. KOA is the forum in which the campaign is coordinated locally and where ideas and resources are shared.